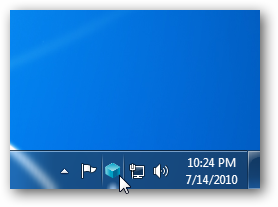 One new feature with the Windows 7 Taskbar is the Notification Area automatically hides certain icons. Here we’ll take a look at making it a bit more manageable. 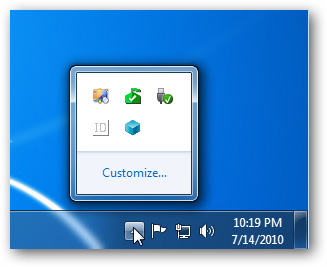 By default Windows 7 will hide application icons in the Notification Area on the Taskbar. Every time you need to access an icon to use an app you need to click the arrow, then the application you want. If you want to have some icons to remain hidden but have easy access to frequently used ones, just drag the icon onto the Taskbar. 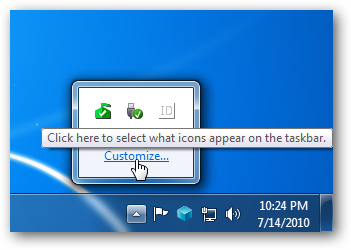 If you never want any icon hidden, click the arrow then Customize. 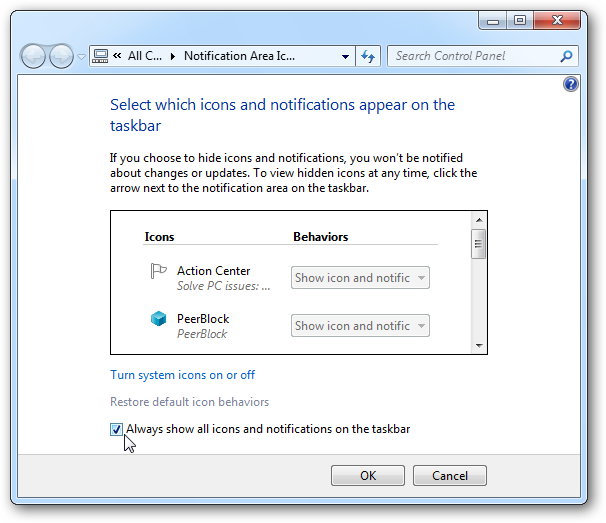 Now check the box next to Always show all icons and notifications in the taskbar and click OK.
Now you’ll be able to access them any time you want without having to go through the extra click. 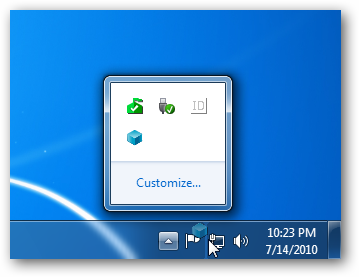 If you’re new to Windows 7, this simple tip for beginners will allow you to access frequently used programs a bit faster by saving a few mouse clicks.